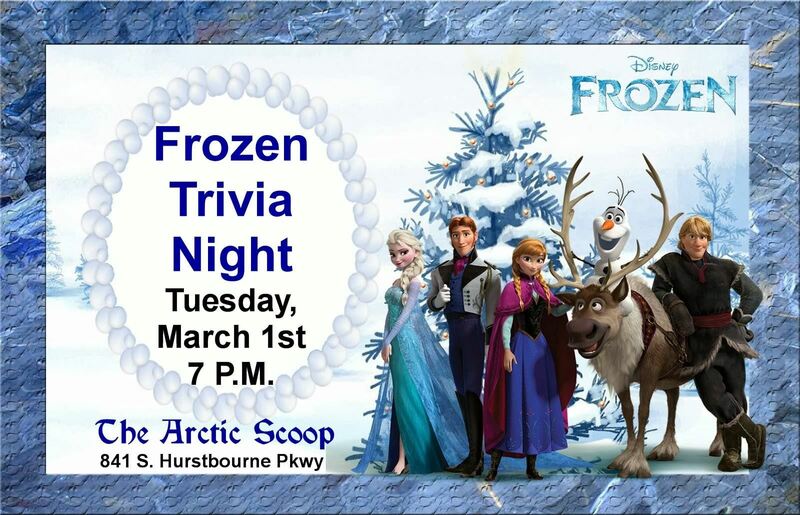 Test your trivia knowledge of the Movie Frozen. Gather a team of up to 5 players or join with some other experts. The event is free, but our yummy treats are available for purchase.